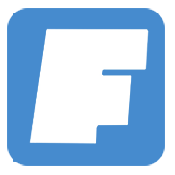 FIFA Ultimate Team™ turns 8 this year! To mark the special occasion get involved with the FUT Birthday Squad, new SBCs and more, starting March 31st at 6pm UK for a limited time. 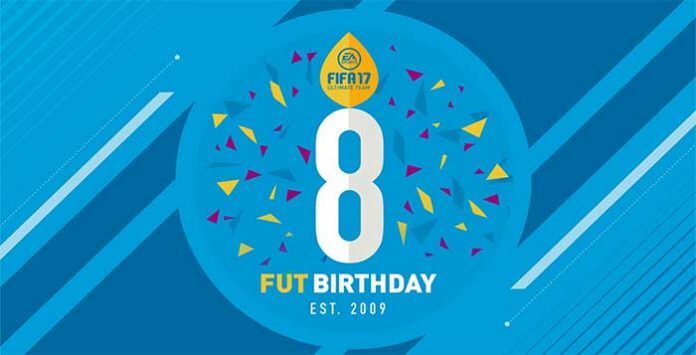 Keep reading to know the complete FUT Birthday program for FIFA 17 Ultimate Team. The FUT Birthday Program for FIFA 17 includes a new brand squad, premium squad building challenges, daily SBCs and daily gifts. Turn back time and celebrate the history of FUT with the FUT Birthday Squad! 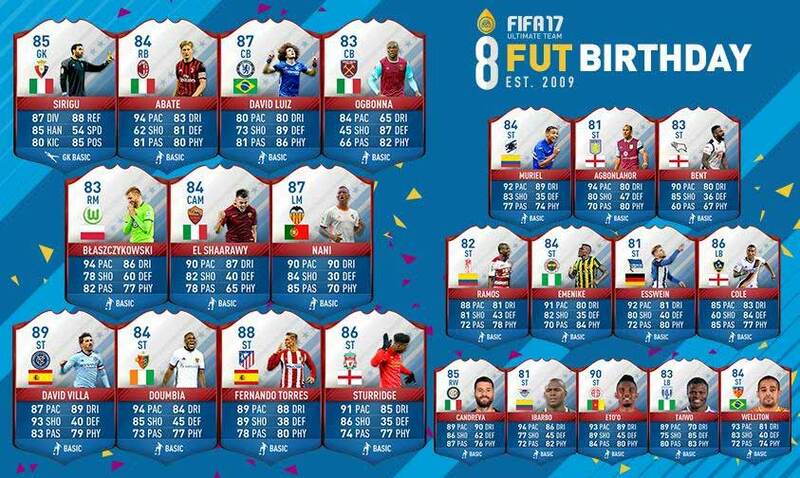 Featuring 23 current players who were fan favourites in previous versions, each FUT Birthday Squad member has upgraded ratings reminiscent of their past FUT item and a brand-new item type. Introducing brand new SBC Premium Items for the first time in FUT! Three FUT favourites get an extra special Premium SBC version! Released as individual SBCs and available for the duration of the event, these unique items will be upgraded even more than their FUT Birthday Squad version. Playing FUT every day could be very rewarding during FUT Birthday! Come back every day to complete a new Daily FUT Birthday SBC. In addition to the regular rewards you get for completing the SBC, you will become eligible for additional tiered rewards if you complete 3 or more Daily Birthday SBCs. The more Daily Birthday SBCs you complete, the higher your reward! The extra rewards will be distributed after the event ends and before April 14th, but will still include a chance to receive FUT Birthday Squad items. The extra Daily Birthday SBC rewards are untradeable and do not stack. Completing three or more of these SBCs will also reward a unique SBC Kit. Also make sure you log-in the Web and Companion Apps to receive daily rewards for the duration of FUT Birthday.